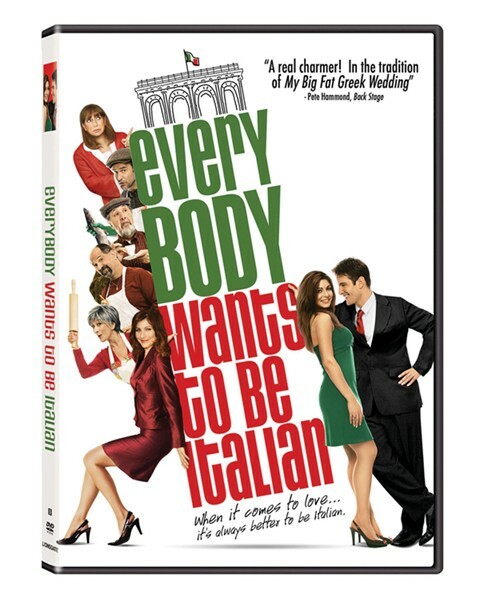 Everybody Wants to be Italian is a sweet, romantic comedy about a case of mistaken ethnicity. In Boston’s North End, two non-Italians pretend to be Italian to win each others hearts. The film was declared “a real charmer, a sweet flavorful romantic comedy with one of the year’s freshest and most appealing casts” (Back Stage) and “like My Big Fat Greek Wedding, but Italian…very funny” (OK Magazine). The DVD includes audio commentary, a making-of featurette, cast auditions and deleted scenes and will be available on February 3, 2009. Everybody Wants to be Italian tells the story of Jake (Jay Jablonski, Unrest); a handsome lovelorn fishmonger who after spending nearly a decade trying to win back his ex-girlfriend, becomes involved in a romantic case of mistaken ethnicity. It's been eight years since Jake's girlfriend, Isabella (Marisa Petroro, Reno 911: Miami), left him, and despite the fact that she's now married with three children, he refuses to move on. Fed up with their depressive pal's unwillingness to let go of the past, Jake's friends set him up on a blind date with a beautiful Italian woman (Cerina Vincent, Cabin Fever) from Boston's North End. Though Jake is convinced that such a woman would never consider dating a non-Italian, a quick crash course in how to fake it may prove just the trick to helping him learn to love once again. Rating: R for some sexual references.